HolliBalance Well-being Center is Boston's premier Acupuncture Treatment Clinic that uses classic Chinese Acupuncture, Traditional Chinese Medicine and a combination of ancient diagnostic techniques and modern technology to provide patients a comprehensive assessment of their overall health. The founder, Dr. Yi Song, comes from a family with generations of doctors in both Western Medicine and Traditional Chinese Medicine. Her grandparents served as private physicians of Chinese leaders and her ancestors were Chinese emperor's palace doctors. She has been practicing Acupuncture and Tai Chi in Boston for more than a decade. We specialize in authentic Traditional Chinese Acupuncture, Customized Chinese Herbal Formulas, Sports Medicine Acupuncture, Thermal Imaging and Whole Body Diagnosis, Acupressure and Chinese Therapeutic Massage, Nutrition and Dietary Recommendations. We also provide unique products that include: Longevity Shake, Chinese Herbal Cream, Instant Pain-away Healing Herbal Spray, and China's Longevity Herb. Additional services include comprehensive weight loss programs and on-demand consultations. Some of the common conditions we treat are, but not limited to: Back pain, neck pain, migraines, sinus infections, anxiety, acne, Alzheimer's, Parkinson's, insomnia, allergies, menopause, smoking cessation, Irritable Bowel Syndrome, frozen shoulder, and female/male infertility. Our downtown office is located at the heart of Financial District adjacent to historic Faneuil Hall, easily accessible by T or car from all the surrounding Metro Boston areas. Contact us now to schedule an appointment at HolliBalance Well-being Center and receive a free Thermal Imaging head shot. Her goal since her early childhood has been to relieve human beings from the suffering of disease and issues like Infertility, Heart Stroke, Pregnancy, Anxiety, Weight Loss etc. She became more and more attracted to the philosophy of Chinese Medicine: maintaining health while still being healthy and relieving bodily imbalances as early as possible. This led to her belief that the practices of both Chinese and Western Medicine should grow to recognize one another, and the philosophies of Chinese Medicine should be promoted to the public so that people can experience great health improvement. The Chinese medical system was developed over 5,000 years ago, growing to yield a wide spectrum of self-cultivation and health-maintenance beyond today's fields. She has been practicing Acupuncture & Tai Chi in Boston for more than a decade and peformed Tai Chi demonstrations during her college years at Peking University. She recognized that Tai Chi has not become a popular form of exercise in the West due to the length of the traditional forms and the difficulty in memorizing and executing all the movements. Dr. Yi Song believes that Modern Simplified Tai Chi formats make it possible for the general public in the West to benefit from this ancient exercise as part of self-cultivation in Chinese Medicine. She is devoted to offering the essence of Chinese Medicine to the West through her private practice and her endeavor nationally. Dr. Song had originally chosen to pursue a bio-medical research career. She did her Ph.D. study at Brown University, researching aging and cancer related genetic damages from free radical attacks. She gradually realized that engaging upon chemical treatment only after problems have already arisen is not a viable approach to achieving a high-quality healthy life. Dr. Yi Song switched her career completely from Western biomedical science to traditional Chinese Medicine with the goal of guiding people to the discovery of the healing power within themselves, as well as that of making it possible for more people to enjoy balanced healthy lives. She has been practicing Acupuncture & Tai Chi in Boston for more than a decade and peformed Tai Chi demonstrations during her college years at Peking University. 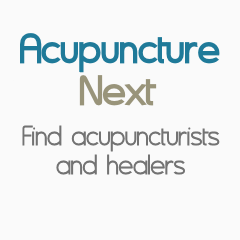 Dr. Yi Song is a National Certification Commission for Acupuncture and Oriental Medicine (NCCAOM) certified Diplomat of Oriental Medicine, a Licensed Acupuncturist in Massachusetts, and Doctor of Acupuncture in Rhode Island. She is the founder and director of Hu-Song Foundation for Chinese Medicine, a non-profit that promotes the concept of Chinese Medicine through seminars, media, and products.